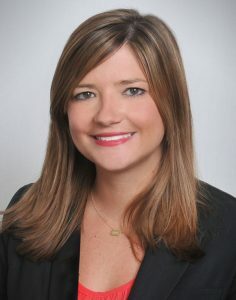 Firm News Archives - La Cava & Jacobson, P.A. David S. Nelson presented “Avoiding Litigation” to the Department of Surgery at Tampa General Hospital. I would like to thank all of our employees and our clients for putting us in a position to give back to the community. The Daniel J. Plasencia, M.D. 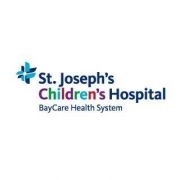 Children’s Chronic Complex Clinic coordinates care for children with complex medical issues including premature birth, cancer, blood diseases, congenital disorders, cerebral palsy, epilepsy, heart disease and autism. These children may have developmental delays in cognitive, motor and speech skills. It acts as a central “medical home” for chronic complex children and facilitates care among all medical specialists. The Clinic can also provide for the psychosocial needs of these children and family support. 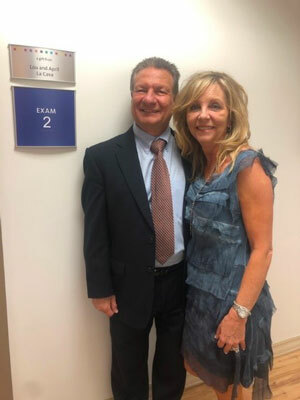 Being able to provide one of the exam rooms at this wonderful facility is truly an honor. We could not do it without the hard work of our employees and the trust and support of our clients. 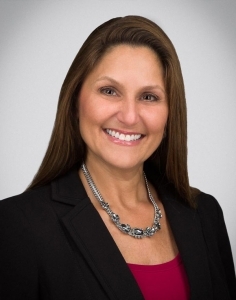 Kari Jacobson spoke at The Hospitality Law Conference in Houston, Texas, on April 10, 2019, on the subject of Avoiding and Defending Foodborne Illness Claims in Hotels and Restaurants – How to Avoid a Food-borne Fiasco! 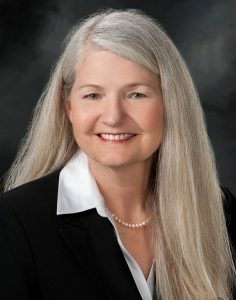 Daneil McAuliffe served as a judge in the regional speech and debate tournament of the National Christian Forensics and Communication Association (NCFCA). 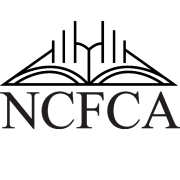 The NCFCA is a the third largest high school speech and debate league in the country. The tournament included students from Florida, Georgia and South Carolina and was held March 21-23 in Sarasota, Florida. 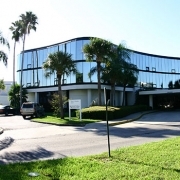 Tia Jones was recently admitted to practice in the Southern District of Florida. Jon Lynn was the featured speaker at the March meeting of the Volusia-Flagler County Dental Association. He spoke on “The Anatomy of a Dental Malpractice Case”. Brett P. Gliosca has been selected to be a participant on this year’s Law360’s 2019 Personal Injury & Medical Malpractice Editorial Advisory Boards. 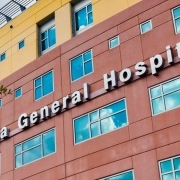 Tom Saieva presented the annual two hour CME course in Preventing Medical Errors at Palms of Pasadena Hospital. 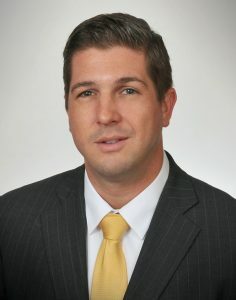 La Cava and Jacobson is very pleased to announce that Jonathon Lynn has joined the firm as a partner and will be working out of the firm’s Ft. Lauderdale office. 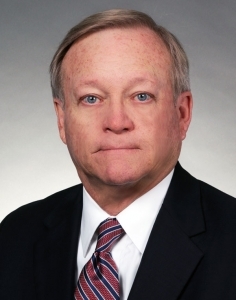 Jon has 40 years of experience as a trial lawyer defending medical malpractice cases for physicians and hospitals. 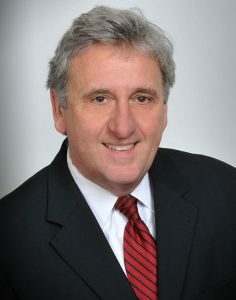 Jon has tried hundreds of cases and his talents as a trial lawyer have been recognized by many organizations. We are very proud to have Jon as part of the La Cava & Jacobson team. Brett Gliosca has been given Martindale-Hubbell’s highest rating of AV Preeminent® for his legal ability and professional ethics. 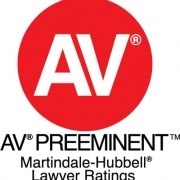 According to Martindale-Hubbell, the AV Preeminent® rating is a significant rating accomplishment–a testament to the fact that a lawyer’s peers rank him at the highest level of professional excellence. 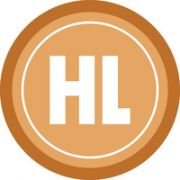 The Martindale-Hubbell® Peer Review Ratings™ are an objective indicator of a lawyer’s high ethical standards and professional ability, generated from evaluations of lawyers by other members of the bar and the judiciary in the United States and Canada. The ratings reflect a combination of achieving a Very High General Ethical Standards rating and a Legal Ability numerical rating.